Sapa (Sa Pa) is one of the most attractive tourism destinations of Vietnam. Sapa is an incredibly mountainous town that lies in the Hoang Lien Son mountain range near the Chinese border in northwestern Vietnam, known as "the Tonkinese Alps". Explore the scenery of Sapa in the early days of the new year. Cat Cat village is located in Sapa town of Lao Cai province. Cat Cat village was built in the middle of century 19th. Hmong ethnic people are mainly residents in Cat Cat. In the early of century 20th, French people detected and chose Cat Cat village to be accommodation of officials. If visiting Cat Cat village in the early of the year, tourists will have chance of taking part in Gau Tao festival that is held every year with the aim of blessing happiness for residents in the village. Tourists will certainly have the chance of tasting corn wine, Thang Co… especially seeing “pulling wife custom” of Hmong people. Typically, when a man loves a woman, he will hold a party to get the help from his friends, the aim of the party is that he would like his friends make a plan to “pull” the woman who he loves to his house and keep the woman in his house for 3 days. After 3 days, if the woman agrees to be his wife, a marriage will be held. Located at the foot of Fansipan Mountain, Sin Chai village is one of the best-view spots in Sapa, about 40 minutes walk from the town. From the village, you will be captivated by the magnificent landscape and spectacular view of the Fansipan Peak.Take a walk around an ethnic minority village and interact with the local people, the very special thing is that, all the kids in the village will be your companions during the adventure as you will fall in love with them. They will be around all the time, singing, dancing or anything to make you smile. Moreover, you can teach them songs, poems that you used to love when you were a child. 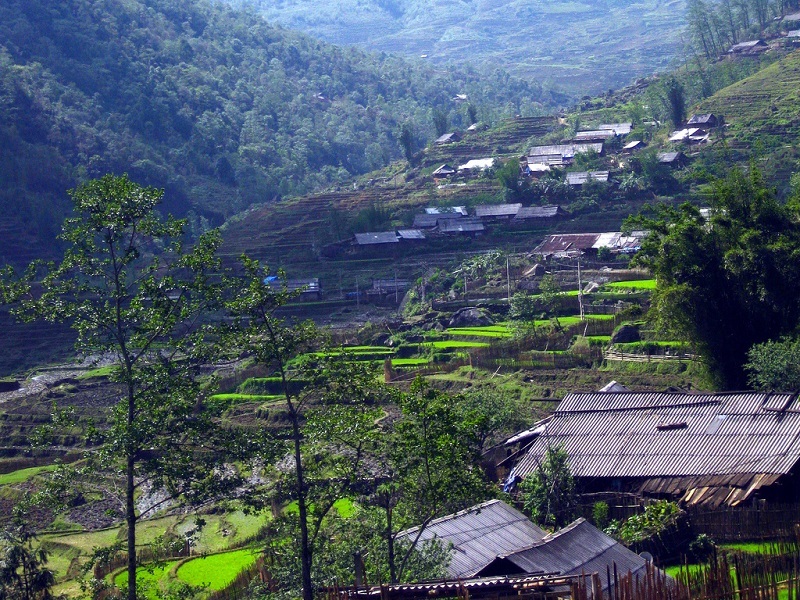 Ta Van is a small village set within a picturesque valley of Muong Hoa. A night stay here will give you a close-up experience of the life-style and culture typical of the area. 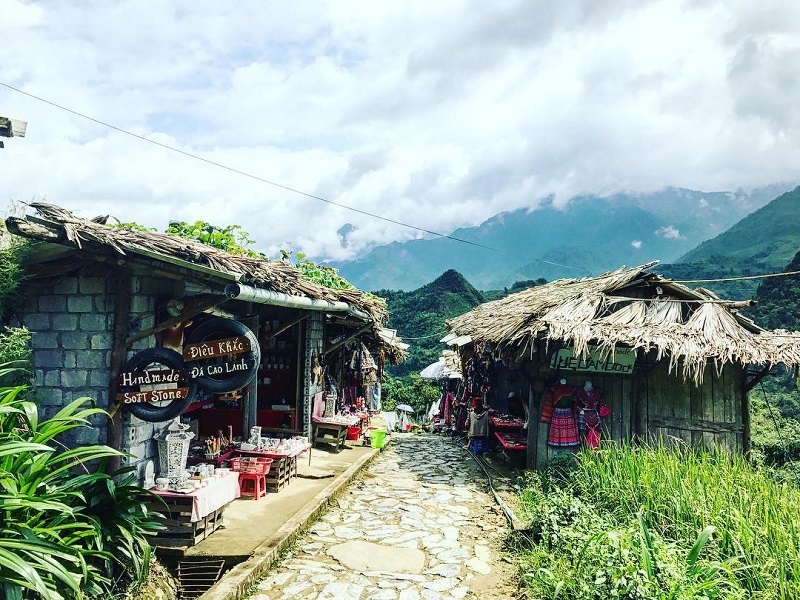 As you walk through different hilltribe villages (Hmong and Dao people), it's helpful to have a guide to explain customs or practices to you and perhaps translate. You're sure to see other tourists on the trail (which puts many people off), but this is a good example of the many great treks in the area. Wherever you go, you are greeted with a hearty "Bonjour, madam! Bonjour, monsieur!". Sapa tours not only attract visitors by the cold, but also by the ancient beauty of Sapa. First days of new Year, churches fog coating, optical pulse covered with white snow. Sapa scenery like a miniature Europe, romantic. Some Sapa 2 days tours are becoming a trend for visitors who want to explore Sapa but are limited by time.